Indie store Picture Disc edition. Seven years have passed since Snow Patrol's last album 'Fallen Empires'. In that time the band have all ventured off into a variety of projects. Gary Lightbody continued his work with his Tired Pony side project with members of Belle and Sebastian, R.E.M, Reindeer Section and Fresh Young Fellows and moved to Los Angeles to begin writing songs for movies and doing a number of high-profile co-writes with Ed Sheeran, Taylor Swift, Biffy Clyro and One Direction. 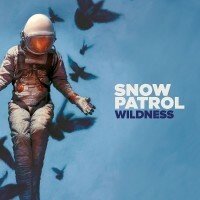 Taking this extended break from Snow Patrol proved to be a source of inspiration, and writing songs that were not pulled directly from his own psyche helped heal what Lightbody considered to be not so much writer’s block as life block.In the meantime the band have been working on Wildness, Snow Patrol's 7th studio album.